Normally during early April the internet is bombarded with April Fools’ pranks. Rarely do they prove to actually be fun. As the University of M.U.S.C.L.E. started to tease collectors that a Purple #153 auction was getting closer, it appeared that the auction could be something fun that actually happened near April 1st. 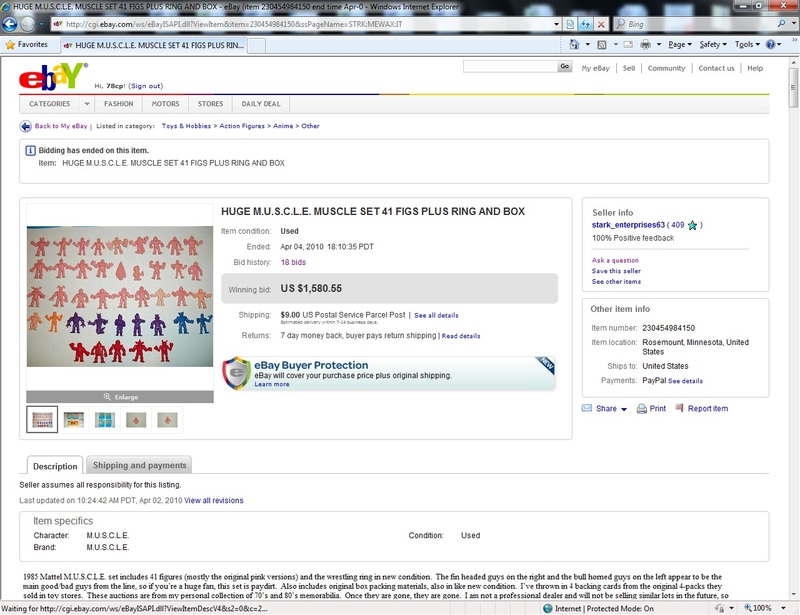 The appearnce of the second Purple #153 auction seemed to cast a negative light on both (Purple #153) auctions. Both were now met with a high degree of frustration and doubt; some collectors were upset that a second auction had been listed, some believed both sellers to be working together, and some felt the seller of the second Purple #153 had placed shill bids. The appearance of a Dark Emperor seemed to be the beacon of hope for the M.U.S.C.L.E. collecting community. Again, sadly, this auction was met with skepticism and distrust. Thankfully, there is at least some good news. The winner of the Dark Emperor is a littlerubberguys.com board member named vette88. 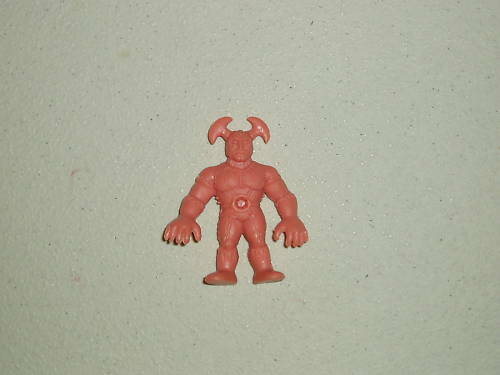 He has been a gracious and generous member of the M.U.S.C.L.E. community. He has also submitted information and pictures for a Sociology 300 profile. Plus, the pressure for the University of M.U.S.C.L.E. to restore a Painted #153 has been increased. Hopefully this will be an interesting process for collectors to observe, and ultimately it will put a Purple #153 in another M.U.S.C.L.E. collector’s hands – and without a reserve price. M.U.S.C.L.E. 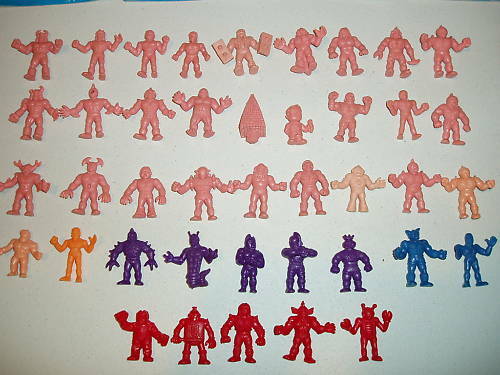 collectors were seemingly burdened with other collecting situations, because the April 1st post on the University of M.U.S.C.L.E. 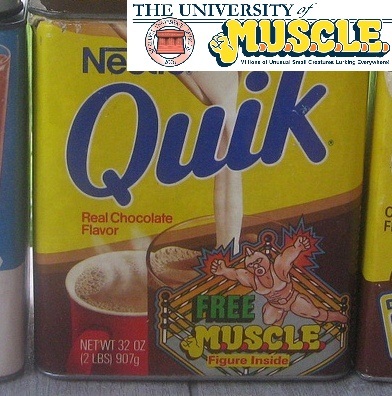 was met with limited reaction – which is surprising, as it is another authentic Nestle Quik M.U.S.C.L.E. tin. Hopefully collectors will come out of the first weekend in April and be able to shake off the frustrations and focus on the excitement and fun. Hopefully collectors will come out of the first weekend in April and be able to shake off the frustrations and focus on the excitement and fun. The M.U.S.C.L.E. community is a small one. One action can have a big impact – hopefully each action M.U.S.C.L.E. collectors’ take are in an effort to make it better! This entry was posted on Monday, April 5th, 2010 and is filed under Auction Watch, UofM News. You can follow any responses to this entry through RSS 2.0. You can skip to the end and leave a response. Pinging is currently not allowed. So, did you acquire the Nestle tin, or is that someone else’s collection? As of today, I’m not sure what is the correct answer to your question. That answer leaves me with more questions….